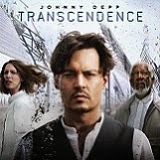 In Transcendence, Dr. Will Caster (Johnny Depp) is the foremost researcher in the field of artificial intelligence, working to create a sentient machine that combines the collective intelligence of everything ever known with the full range of human emotions. His highly controversial experiments have made him famous, but they have also made him the prime target of anti-technology extremists who will do whatever it takes to stop him. 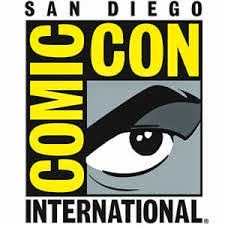 Transcendence marks the feature film directorial debut of Oscar-winning cinematographer Wally Pfister (“Inception”) and stars Paul Bettany (“The Da Vinci Code”), Rebecca Hall (“Iron Man 3”), Kate Mara (“House of Cards”), Cillian Murphy (“Inception”), Clifton Collins, Jr. (“Pacific Rim”) and Oscar winner Morgan Freeman (“The LEGO Movie”). 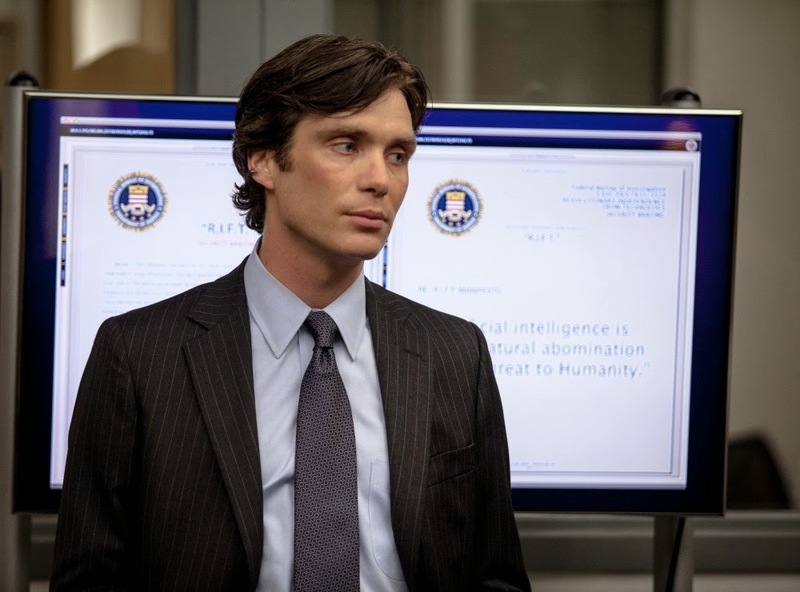 Dr. Will Caster (Johnny Depp) is arguably the top scientist in the field of artificial intelligence. He has been working to create a machine that is self-aware with access to all that mankind knows and the capacity to think beyond the limits of the human brain. Other leaders in the field include his wife Evelyn (Rebecca Hall) and best friend Max (Paul Bettany). An anti-technology terrorist organization known as R.I.F.T. attacks labs doing similar work and targets scientists including Will. The group, which includes a young girl named Bree (Kate Mara), planned to stop Will and his research. Instead, they inadvertently provide the push for the next step. In Will’s last days the team focuses on uploading his consciousness to the computer. The people closest to Will are very focused on whether or not they can complete the task before Will runs out of time. Later, bigger questions arise about whether they should take such a step and what the ramifications would be. With seemingly infinite knowledge, Will is able to accomplish amazing and terrible things. Before I watched the film, I knew that some critics had complained about the film, saying that the film suffered from bad writing, bad acting and a terribly designed plot. After watching the film, I have to disagree with all of those things. Perhaps those critics viewed the film with overly high expectations which inevitably led to being somewhat disappointed. I kept my expectations in check so I enjoyed the film. I believe that the film's plot is based on a plausible concept but as the story progresses, it goes off the rails completely in an entertaining way. On the flip side, this isn’t an argument for why the anti-technology groups are correct. I think everyone bashing the film is probably taking it way too seriously. If you give this movie a chance, you too might be surprised by how much you'll enjoy it despite the naysayers. Whether or not you like the movie, you’re likely to admit it looks pretty good on Blu-ray. Transcendence offers a 1080p AVC encoded video presentation does show evidence of noise reduction and over sharpening. The film provides scenes of stark white labs and apocalyptic darkness and it hold up in both situations. Again, it may be low expectations talking but I got what I expected visually and a little more. Transcendence’s DTS-HD Master Audio 5.1 mix is more impressive than the video presentation. As expected, dialogue is clear and consistent. Use of the rear speakers is noticeable and action sounds are accurate and engrossing. My expectations were not met with the brevity of the features. What is Transcendence? - This five minute featurette contains cast and crew discussion of the film and its basics. A Singular Vision - This featurette lasts a mere 3 minutes where primary cast and others talk about working with the first time director. Guarding the Threat - A two minute overview of production elements and story arch. The Promise of A.I. - A brief technology discussion lasting three minutes. It's Me - A teaser trailer. 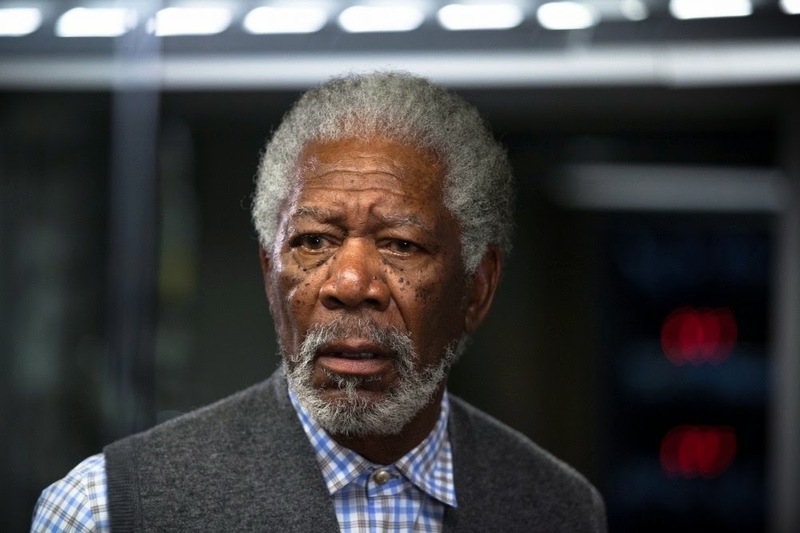 Singularity - Teaser narrated by Morgan Freeman. R.I.F.T. - An additional teaser featuring Kate Mara. 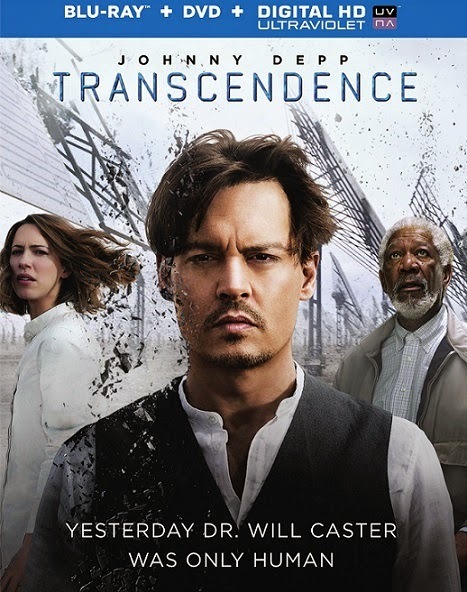 Transcendence is a mix between The Matrix with a little bit of The Lawnmower Man thrown in too. 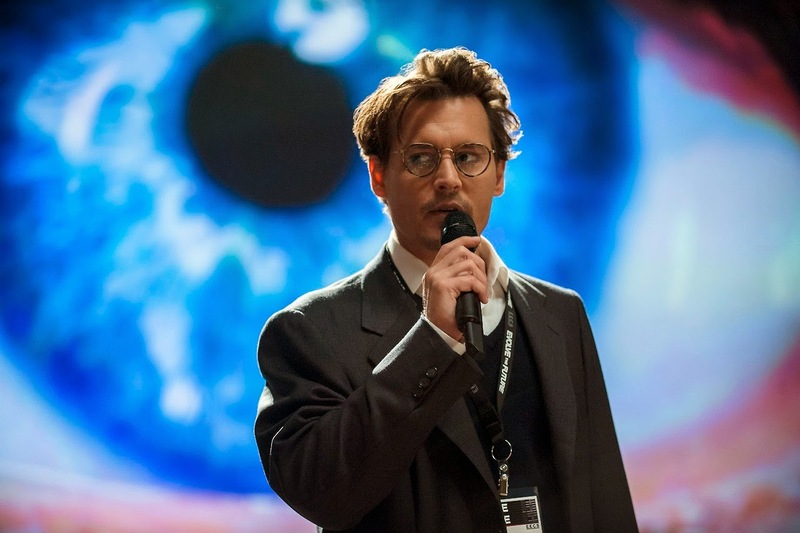 Johnny Depp does not disappoint in this role, but you'll have to decide if it he makes you believe that he’s one of the smartest men on Earth. I was able to suspend reality long enough to thoroughly enjoy the film. This film did not turn me off of technology or make me run out to stockpile batteries and food for the day when the lights go out. I hope people find it enjoying rather than alarming. 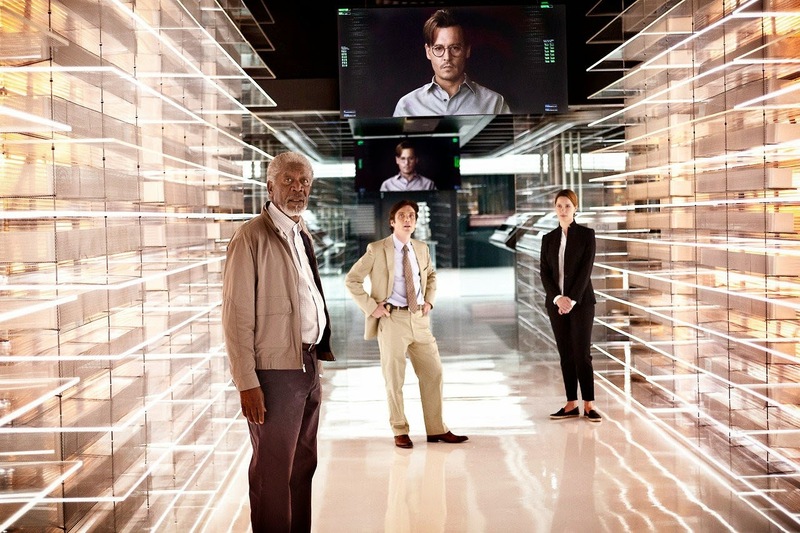 Transcendence has a good cast, a good enough story and it exceeded my expectations. The lack of meaty special features is a shame since the video and audio quality are good. I don’t think anyone involved should worry about making space on their bookshelf for an Oscar, but I did enjoy it and will give it a space in my sci-fi section.